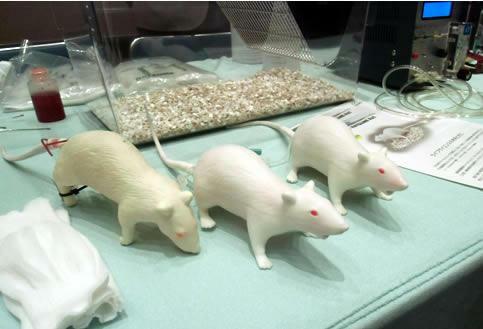 Natsume is a silicone rat model aimed to replace animal experiments in medical, pharmaceutical, veterinary education and animal experiment technical training. 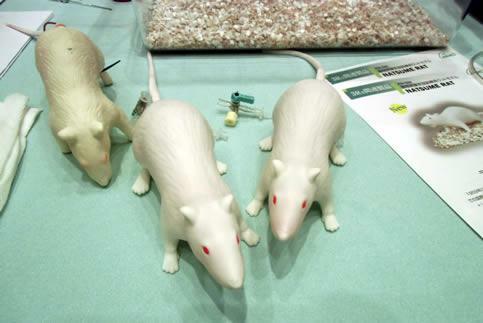 Various devices are given to the model so that a novice can become skilled in operations, including holding the animal, oral administration, tail vein injection, blood collection, and tracheal intubation. 1. 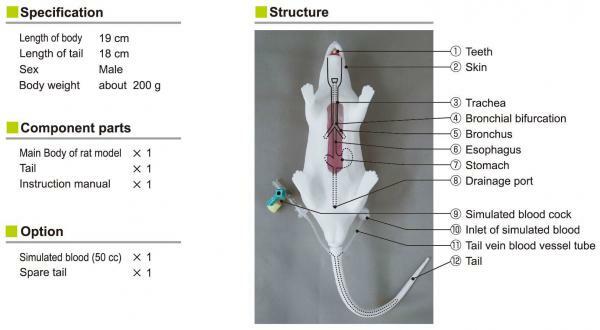 Anatomically accurate replicated model of the skull, pharynx, larynx, trachea, bronchial, esophageal, stomach, and tail vein were incorporated into the replicated rat model. 2. 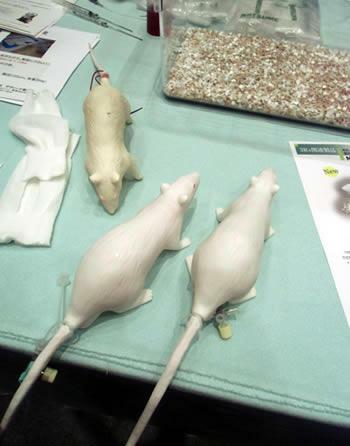 Silicone is used as the material so that the sensation of touch is similar to a living body for various operations. 3. The model is made up to take a position close to the living body. (1) The abdomen is partially transparent so that the operation can be accurately evaluated in intragastric administration. 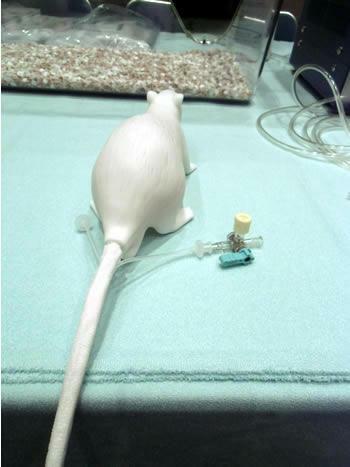 (2) The operation in the tail vein injection and blood collection can be evaluated by confirming the flow of simulated blood. 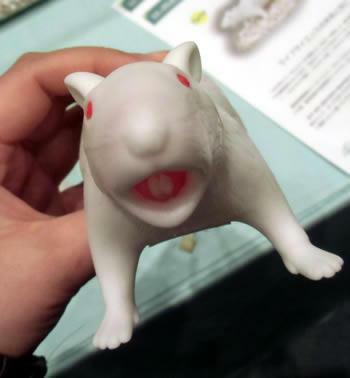 Expected price: over 40,000 yen.